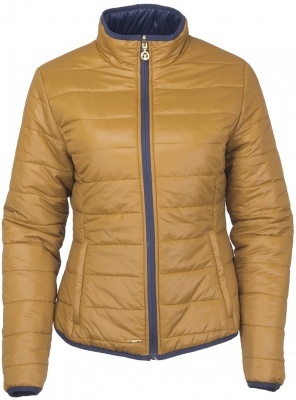 This stylish jacket is fully reversible, giving you two great looks for the price of one. 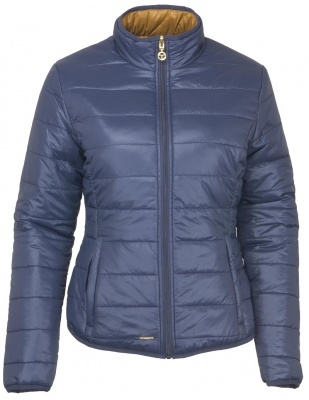 The jacket has a flattering, feminine silhouette, stylish curved hem, high gloss gold trims and useful pockets. This truly versatile piece is lightly padded and features a useful water repellent finish.